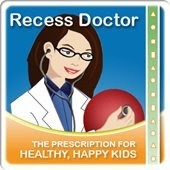 Peaceful Playgrounds | Recess Doctor Blog: Recess- not Ritalin! 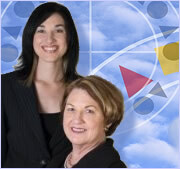 Attention Deficit Disorder: Ritalin Or Recess? It explores the relationship between recess and ADHD and reviews the CDC report that I referred to in my blog on April 20. You might remember that I referred to the April 15 release by the Centers for Disease Control and Prevention's new report on school-based physical activity and its association with academic performance. The Huffington Post published a related post by David Katz, MB who wrote the following account of the same release. The report -- a review of 50 studies published in 43 articles -- reached a conclusion that is no great surprise to those of us who know kids well (I have five), and work to promote their health (both physical, and intellectual). Physical activity is good for body and brain, alike. As often seems to be the case, modern analytic methods and systematic review of evidence landed us right in the middle of Grandma's common sense counsel: sound mind, sound body. The fundamental findings of CDC's 129-page report were that diverse interventions for kids of various ages produced a net improvement in academic performance more often than not. Over 50 percent of the studies analyzed improved some measure of cognition or academics. An additional 48 percent of the interventions contributed to fitness and health without compromising academics. The benefits of physical activity probably need no introduction. Being active, in combination with eating well, is both the first, and only truly reliable, line of defense against the clear and omnipresent danger of childhood obesity. Even when physical activity is not preventing overweight, it is promoting vitality and helping to prevent disease. Independent of weight control, exercise can help keep diabetes at bay. But while fitness, vitality, the avoidance of disease and the pleasures and glories of athletics might make a totally persuasive argument for routine exercise, the benefits don't stop there. The mind and body are genuinely connected, and the soundness of one redounds to the other. Just consider that rates of behavioral disorders in childhood -- attention deficit disorder in particular -- are at an all-time, unprecedented high. How do we account for that? Certainly, there has been no radical shift in the genes that oversee the construction of children in the last generation. Children are much the same as they ever were. Their typical day is as it never was before. Children used to play outside. They used to have physical education and recess during the school day. More and more, we take naturally rambunctious children, send them to schools from which recess and Phys Ed have been all but banished, bolt them to chairs all day long, and then watch them grow into adults we can't get off couches with crowbars! And, alas, along the way we medicate more and more of them for attention disorders. Could it be that WE are the ones who have not been paying sufficient attention to the natural, healthy restlessness of children? Some years ago, when my son, Gabriel, was five, he joined the rest of my family in attending an evening talk I gave at Dartmouth. Whereas my daughters, all older than Gabe, were able to sit attentively as my talk began, Gabe was fidgeting out of his seat and tormenting his poor mother within minutes. The story that ensued -- one I have told many times -- is that I interrupted my talk to intervene on my wife's behalf. I asked Gabe to run a lap around the large auditorium in which I was speaking. He did, completed it, then popped up from his seat and took off for another. As he came around at the end of lap two and kept on going, three other kids took off after him. When the four of them came around and kept going, several dozen children joined in! As the ruckus played out, I noted to my audience that what we were observing was more important than anything I might be saying. I presumed all of the kids running laps around us were healthy. My son, certainly, was healthy -- although, lord knows, if you were cooped up with him at that age for any length of time you'd be tempted to medicate either him or yourself! But he was, and is, healthy. Rambunctiousness in children is normal. And it should be treated with recess, not Ritalin! Gabriel had shown me how. The result of Gabe's fidgety disruption was a program called ABC for Fitness (Activity Bursts in the Classroom), ultimately crafted not only by my research staff, but by experts in physical education, notably Marvin Christley with the New Haven, CT, Public Schools, and experts in education from the CT Department of Education. The program, available to all for free at http://www.davidkatzmd.com/abcforfitness.aspx, not only allows for intermittent bursts of activity throughout the day whenever kids 'need' one, but matches aerobic routines to grade level and subject matter. Teaching time actually goes up! The program has rapidly spread to thousands of schools, because it's so easy, costs nothing, and works so well. We've analyzed the results in over 1,000 children and found not only improvements in fitness, but stable academic performance, and significant declines in medication use for both asthma, and ADHD. This report has been accepted for publication, and will be out soon. The traditional three 'R's -- reading, writing, and 'rithmetic- remain as important as ever. Our own work, CDC's review of 50 studies, and every parent's experience with children indicate there is a strong case to add back a fourth that contributes its own benefits, while supporting the time-honored three. It is variations on the theme of recess- not Ritalin!